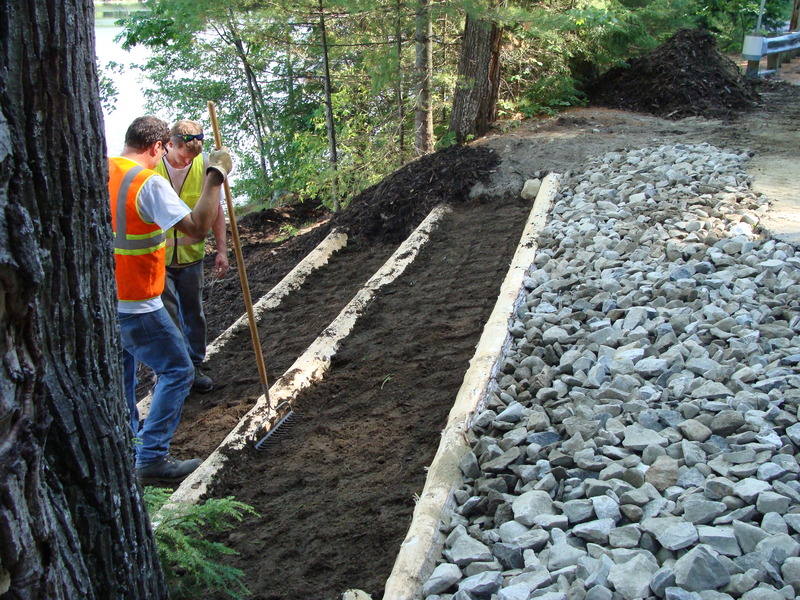 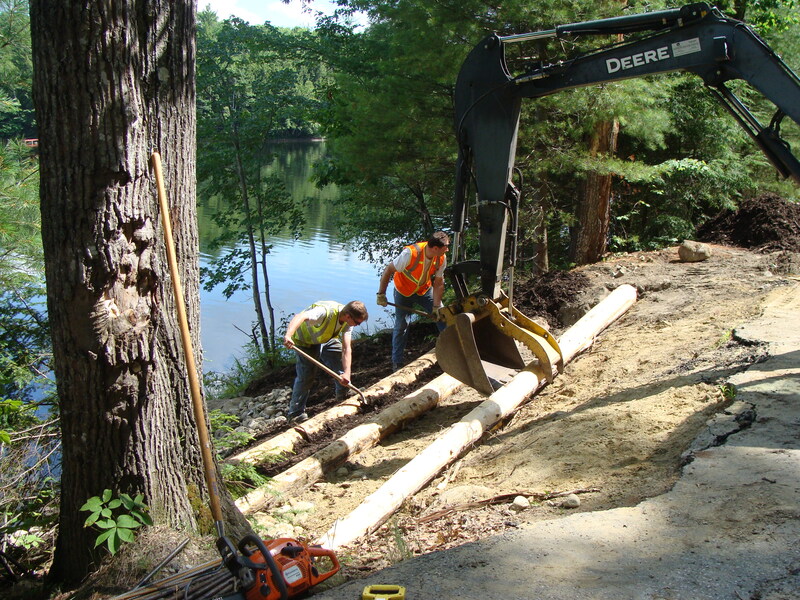 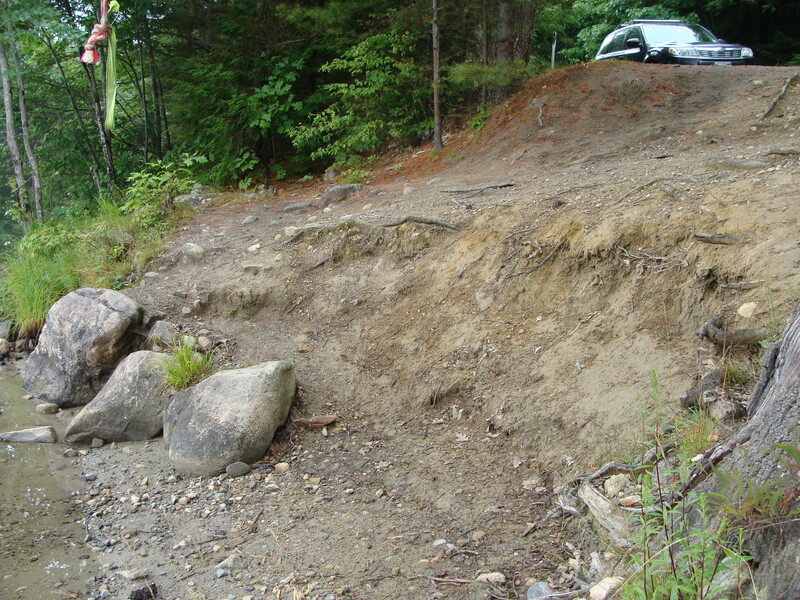 Ecological Instincts assisted the Mount Vernon Community Partnership Corporation (CPC) with grant writing, permitting assistance, and project management to fund and implement a shoreline erosion control project on the shores of Minnehonk Lake in Mount Vernon, ME. 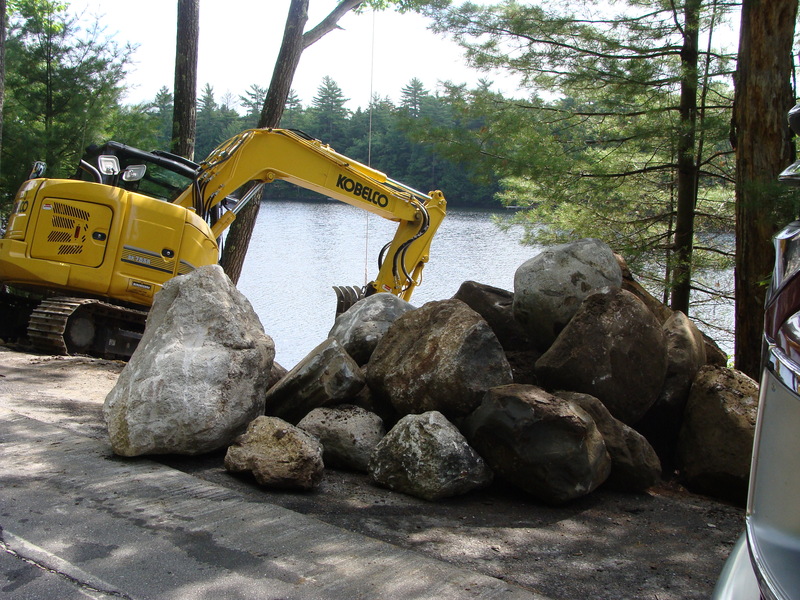 The project was funded by the Davis Conservation Foundation, the New England Grass Roots Environmental Fund, and the Onion Foundation. 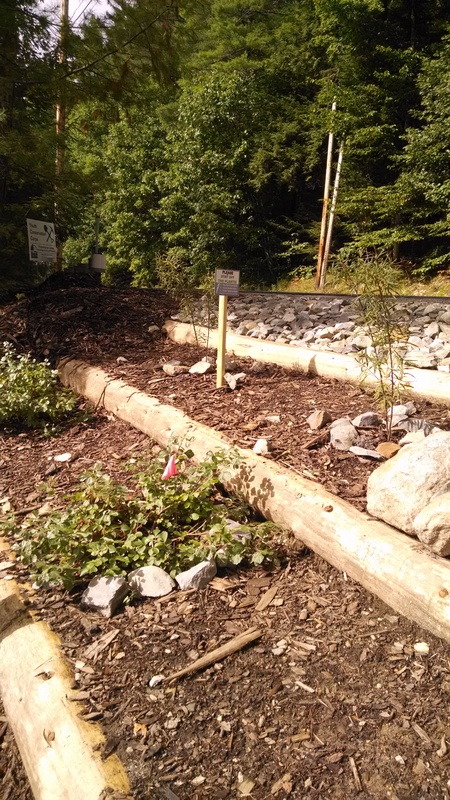 Terracing with local cedar trees, erosion control mulch and native plants and rocks. 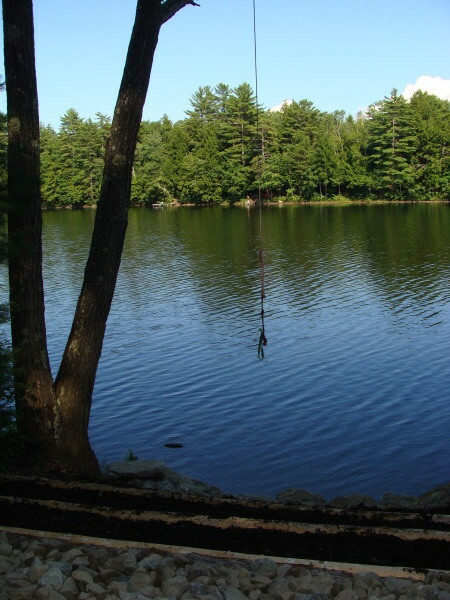 The rope swing has been used by generations of local kids.